Fire boat response crews battle the blazing remnants of the offshore oil rig Deepwater Horizon on April 21, 2010. There’s plenty of blame to go around in the massive Deepwater Horizon oil spill that threatens the U.S. Gulf Coast. But British Petroleum is drawing the most ire. BP is required to pay for the cleanup, and will likely be sued for billions by affected industries (ranging from tourism to seafood farming). 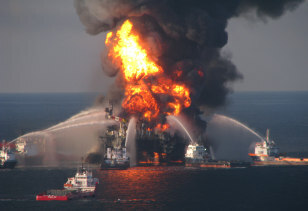 BP has a narrow window of time to keep this environmental and fiscal disaster from turning into an unrecoverable public relations one as well. Just ask the following companies, all of which learned crisis management on the fly. Vioxx is arranged on a counting tray, laying on top of the bottle Sept. 30, 2004, at The Pennington Apothecary in a Pennington, N.J.
Merck’s popular anti-inflammatory drug Vioxx eventually caused more pain than it cured. 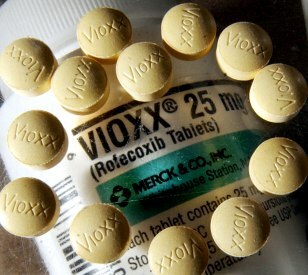 The company yanked Vioxx off shelves in 2004 after concluding it increased the risk of heart attacks and strokes. Patients and shareholders alike were angered by what they considered Merck’s slow response to the problem. The pharma giant paid $4.85 billion in 2007 to settle patient lawsuits, but even that didn't fix things. An appeals court in Philadelphia ruled in April 2010 that shareholders can sue for losses incurred during Merck's stock free-fall. The company lost 27 percent of its value after the recall. 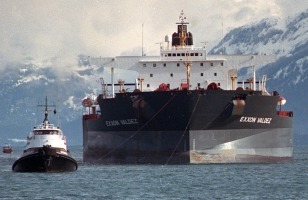 Tugboats pull the crippled tanker Exxon Valdez on April 5, 1989, in Alaska's Prince William Sound. The 1989 Exxon-Valdez oil disaster was an environmental catastrophe of unprecedented magnitude. That the company's response has gone down in history as what not to do didn’t help. The 11 million gallon spill cost Exxon $4.3 billion, which includes both the tab for mopping up the oil and punitive damages. The latter number (around $500 million) would have been higher today; laws at the time limited victim claims to those who had been physically impacted by the oil. (That change is bad news for BP.) Exxon’s tone-deaf response generated fierce opposition to its merger with Mobil a decade later. Ford Motor Co. officials recalled 13.5 million Firestore tires in 2000. When, in 2000, it was discovered Ford Explorers with Firestone tires were prone to fatal rollovers, each corporation blamed the other, and both companies’ reputations suffered. Firestone recalled 6.5 million tires, while Ford recalled 13.5 million, a move that cost the automaker $3 billion. The cost of the recall was estimated at $500 million for Firestone, in addition to property-loss and personal-injury damages for both parties. The backlash got so bad, Firestone’s PR agency threw up its hands and fired its client. This biotech firm (now called Sanofi-Aventis) admitted in 2000 that some of its Starlink corn was genetically modified and only approved for use as animal feed. Yet it had made its way into the human food supply, and the backlash provided plenty of grist for the media. Aventis initially spent $100 million buying back the tainted corn, but estimates of the total cost — which included recalls and factory shutdowns for companies like ConAgra and Kraft — are as high as $1 billion. In 1997, this pharmaceutical company (now Wyeth) pulled its popular diet combo Fen-Phen off store shelves when it was found to cause fatal heart problems. Thousands of lawsuits were filed by victims and their families. AHP settled for a total of about $21 billion over a period of several years. The financial blow was compounded by the PR damage from insensitive employees. AHP e-mails seized by lawyers said things like, "Do I have to look forward to spending my waning years writing checks to fat people worried about a silly lung problem?" 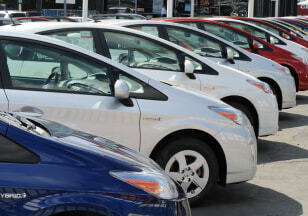 Toyota recalled about 437,000 Prius models in February 2010 to fix brake problems — just one in a series of recalls for the automaker. The Japanese automaker is still taking stock of the full impact of this year's massive recall of its vehicles, but the company's vaunted safety and quality-control record have already been damaged, perhaps irreversibly. Toyota estimated the cost of the recall at around $2 billion, and that's not counting class-action damages, which could easily climb into the billions as well. More recent news that a Lexus SUV could be prone to rollovers as the result of faulty stability-control equipment triggered a second recall and a fresh round of media scrutiny. 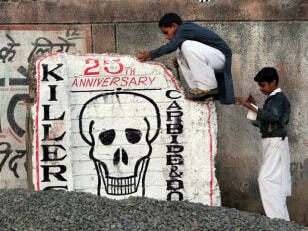 Local children play near the boundary wall of the Union Carbide plant in Bhopal, India, in 2009 — 25 years after a poisonous gas leak killed thousands. This 1984 gas leak in an Indian pesticide factory in Bhopal takes the dubious honor of being the worst chemical accident on record. Roughly 4,000 died within days, and authorities estimate the long-term death toll at 15,000, with hundreds of thousands more stricken with health problems. The catastrophe cost Union Carbide (bought by Dow Chemical nine years ago) $470 million in restitution payments to the Indian government, but the cost to its reputation was much higher. The anniversary of the leak is still marked by vigils and protests.